At every Norwegian celebration there must be cake and on the 17 of May, Norway’s National Day, Norwegians go the extra mile. The Kransekake (tower cake or ring cake) is a traditional Danish and Norwegian confection, usually eaten on special occasions. Kransekake takes the form of a series of concentric rings of cake, layered on top of each other in order to form a steep-sloped cone shape—often 18 or more layers—stuck together with white icing. Gaye is the kitchen queen! She is more than just a cook, she makes food with so much live that it tastes absolutely special. 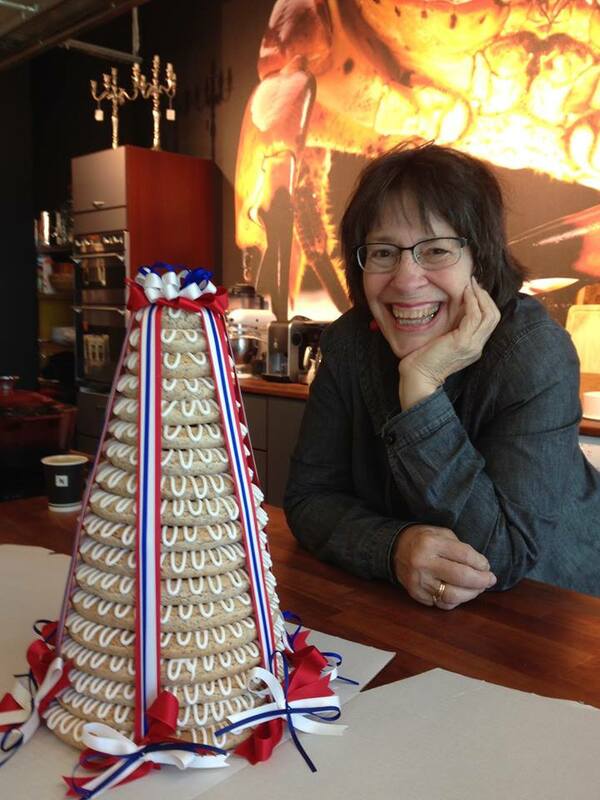 She would love to share some of her secrets to a successful traditional Norwegian Kransekake. You will bake and build one mini-cake and will take home some “fingers” made of the kransekake dough to enjoy with your friends or family! Got a gift card? Lucky you! Contact Cristina to book your seat.